Internationally-renowned heavy rock band LAMB OF GOD will release a brand new EP, entitled The Duke, on November 18, 2016. The title track of the EP, “The Duke”, was written in honor of the band’s late friend and fan, Wayne Ford, who was named after “The Duke” John Wayne. Watch the video below that tells the full story of "The Duke”in Randy's own words and choose from exclusive merch and memorabilia rewards from Lamb of God for donating to Leukemia and Lymphoma Society. 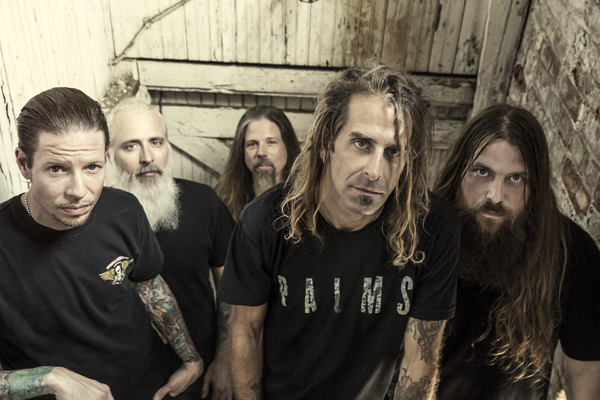 This past May, Lamb of God were awarded RIAA (Recording Industry Association of America) gold certification plaques for their breakout 2004 release, Ashes Of The Wake. The album was certified gold this past February for sales in excess of 500,000. Randy Blythe has decided to donate his personal Ashes Of The Wake gold record plaque to the cause. Everyone that contributes $5 or more will automatically be entered to win Randy Blythe's "Ashes of the Wake" gold plaque. Click here to contribute to LLS without receiving a reward.